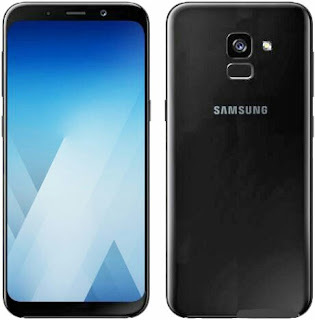 Samsung Galaxy A5 (2018) sports 5.5-inch Super AMOLED display at 1080 x 2160 pixels, with Corning Gorilla Glass protection. The phone can survive 1.5 meter under water, and it's available in several color options including Black, White, Gold. For image duties, the device features 16MP rear cameraswith LED flash, and 16 megapixel front-facing shooter for selfies. In terms of performance, Samsung Galaxy A5 2018 with model number A530F/DS comes with 4GB RAM and 32GB inbuilt storage which can be expanded up to 256GB via a microSD card. The smartphone is powered by a 1.9GHz octa-core Chipset Exynos 7885 and it runs latest Android 8.0 Oreo out of the box. Samsung Galaxy A5 2018 houses 3300mAh battery capacity to keep the lights on. Connectivity options include 4G LTE, Wi-Fi 802.11 a/b/g/n/ac, Bluetooth 4.2, GPS, NFC, and a microUSB Type-C port. As for the price, Galaxy A5 2018 costs about Rs. 26,990 in India, which is approximately N150,000 Naira in Nigeria.